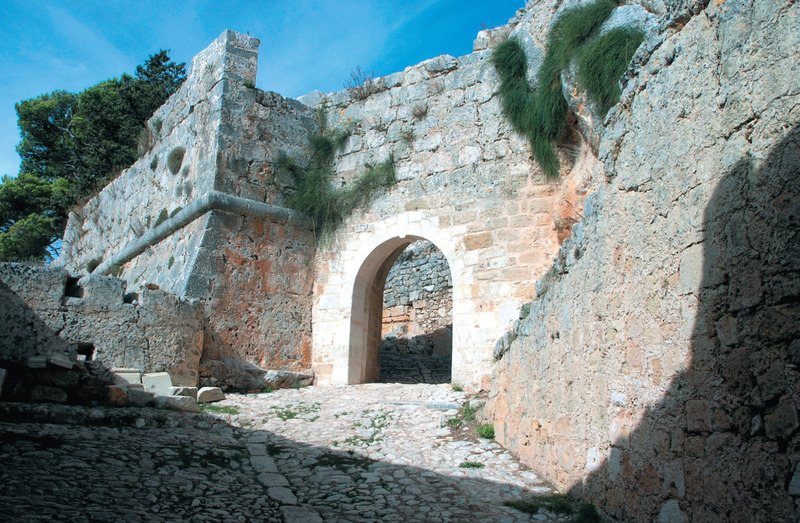 ST. GEORGE CASTLE, was the place of residence for officials and nobles till 1757 when the capital relocated to Argostoli. Under the Venetians, the castle was like a small city, and included watchtowers, ramparts, watertanks, tanks with boiling oil to dump on the enemies, hospital, storage rooms for food, and even a prison. There was also an underground tunnel that reached all the way to Koutavos bay. There are still remains of this legend- castle, and the view from the top of the hill will impress every visitor. The Monastery of Agios Gerasimos in Kefalonia.